YOU DON’T KNOW MY LIFE! (YDKML) is the brainchild/lovechild of entertainment journalist Dennis Hensley and game designer Jeb Havens. YDKML sprung from the list of offbeat interview questions entertainment journalist Dennis Hensley developed over his years of profiling celebrities for magazines like Movieline, TV Guide, Out, In Style, Detour, The Advocate, Marie Claire and Cosmopolitan. He’d take a Xeroxed list to each interview and pick a few to pepper in along the way. Not only were they playful and unexpected but they got the goods, specifically quotes and anecdotes that made Dennis’s articles pop. ​When he started his podcast DENNIS ANYONE? 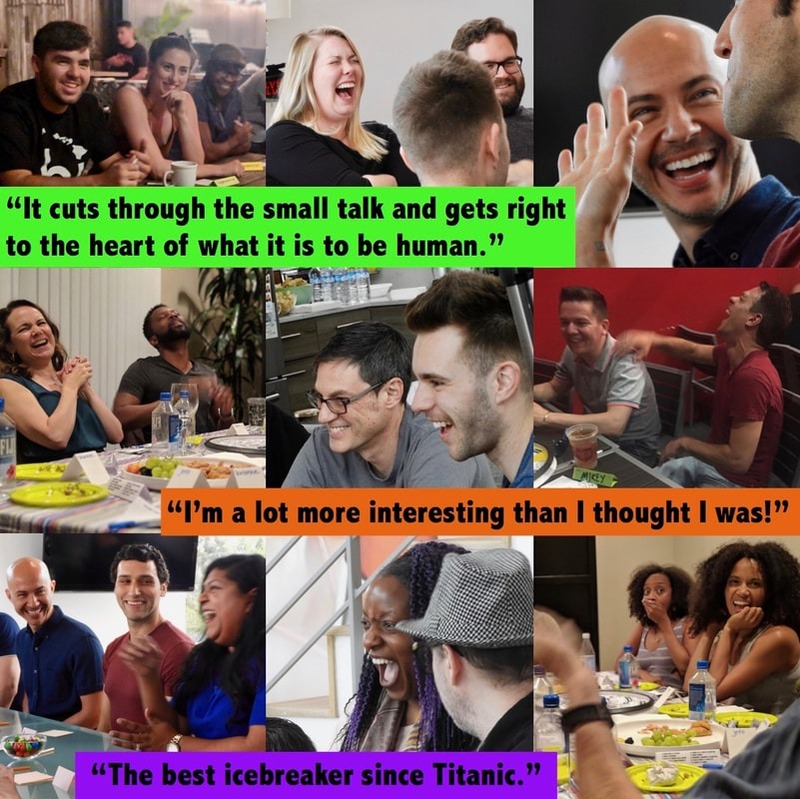 Dennis put the questions on cards, dubbed it The Observation Deck and before each interview, he has his guest pick out a few questions they think would be fun or interesting to talk about. The Observation Deck was an instant hit with both his guests and his listeners. 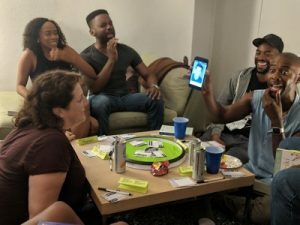 Believing that a more structured party game could be in the cards, literally, Dennis enlisted award-winning game designer JEB HAVENS to help develop it. Jeb has over 14 years of professional game design experience, working with companies such as Maxis, Google, Disney, YouTube, and Marvel, as well as three professionally-published board games of his own. The pair had initially bonded over their shared love of $25,000 Pyramid so creating a game together seemed like destiny. 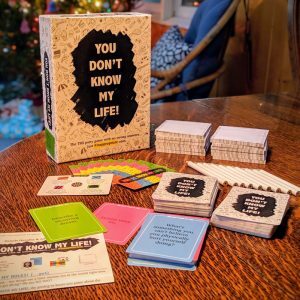 In the fall of 2017, Dennis and Jeb began playtesting YOU DON’T KNOW MY LIFE! with their friends, and honed it into a hit with groups of all types. 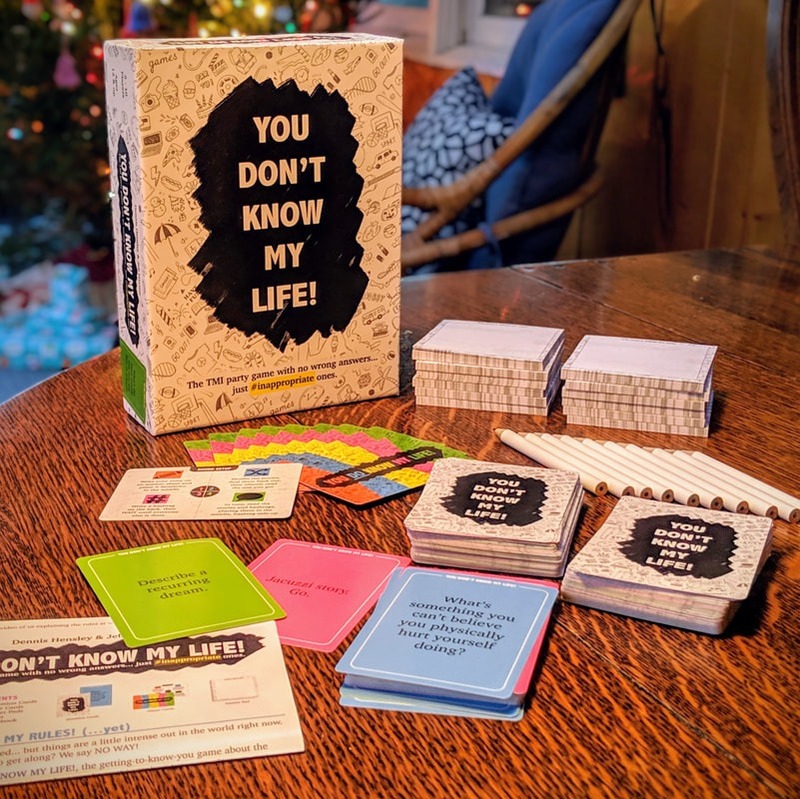 A ‘Friends and Family’ capital-raising campaign got them the funds for a first print run and thought they cut it close, they managed to get the games in their backers hands by Christmas 2018. ​As they started to turn YDKML loose on the world, they discovered that their best sales tool is the game itself. That’s why they are bringing it home to you! Invite the gang over and Dennis and/or Jeb will be there in person (if you live in the L.A. area) or via Facetime (if somewhere else) to show everyone how to play. It’s like a Tupperware party but instead of locking in the freshness, they are letting it ooze out all over the place!